Koho (www.koho.ca) is a new online prepaid payment system that is available exclusively to Canadian residents with the exception of the province of Quebec. The Koho card is a reloadable prepaid card that is accepted everywhere Visa cards are accepted. This means that Canadians can use the card at thousands of online and brick and mortar merchants without incident. What makes this card so viable for Canadians and specifically millennials, is that there are almost no fees associated with using, activating and replacing the card in addition to a lot of other features that prepaid cards just don’t typically have. Unfortunately, unlike other prepaid cards or vouchers, Koho does require some sensitive information like your address upon sign-up and you need to be able to download the phone application either through Google Play or the Apple App Store to get started. 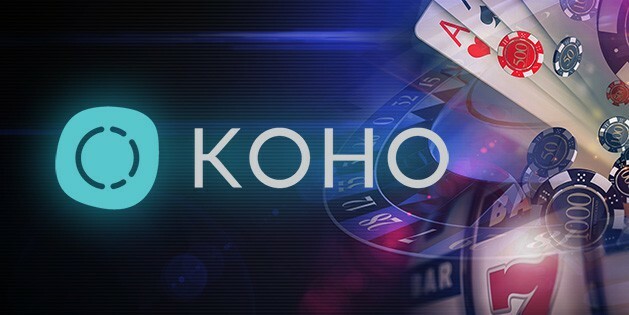 For Canadians who are looking to gamble online, make sure that you check your casino of choice to see if they take prepaid VISA cards as that is what the Koho Card is, a prepaid non-credit, non-debit, prepaid card. Top online casinos that take prepaid Visas include Jackpot City, Spin Palace, Ruby Fortune, Betway and many others. After installing the app on your Android or iOS, you will be asked for some personal information, which includes an e-mail address, password, name, and address. This entire process only takes a few minutes to complete. Once done, your new card will arrive within 10 business days from account activation. In order to activate your new card, you will be required to deposit money into it and use it with a set pin within a 24 hour time period. To use the card, just simply use it as you would any other card through online merchants. If you are in a brick and mortar store, insert the card into the machine, enter your pin and voila purchase made. What makes this prepaid card so great is that it comes with a lot of features that other cards don’t come with. Not only can you lock your card within the phone application if it gets lost or stolen, but there is an in-app chat function, so you can ask questions or get support between the hours of 9am-5pm. If you need cash, you can use the card at all DC Bank ATMs across Canada (8,500 ATMs total) to withdraw cash which has a $0 fee if it is a domestic, in-network ATM. In addition to the above, you can direct your paycheque to load directly onto the card or you can use another method such as an interact e-transfer or PayPal to fund the card. Plus, you can use the card while you travel in foreign countries, there’s just a 1.5% transaction fee for doing so. For those using the card to gamble, this allows you to get around deposit methods that aren’t normally accepted at online casinos, like PayPal. Just use PayPal to fund the card, then use the card for your Koho casino account. Refunds take 2-5 days to process and the card uses a “smart spending account” function which allows you to send money transfers, save money and even pay bills from the card. There is a running total of how much you’ve spent throughout the month and where it has gone to and you can see how much you have left to spend, ensuring you never get declined for lack of funds. Plus, a new “PowerUp” reward system has been recently added where you will get 0.5% cashback on all purchases with no exclusions.